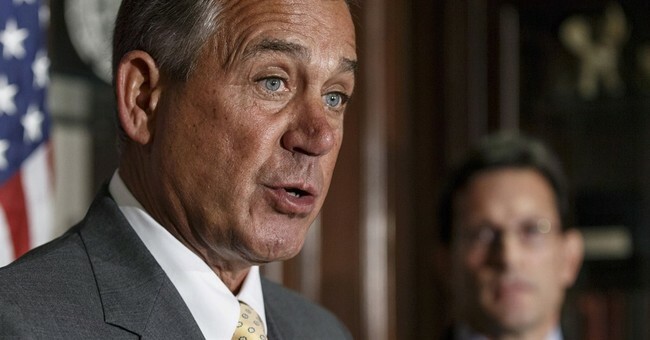 If there is one subject we know Speaker Boehner is passionate about, it’s the minimum wage. Although many have questioned Mr. Boehner about his squishiness on multiple issues lately, he certainly won’t be budging on his refusal to vote for a clean minimum wage hike. Now, the only time Boehner didn’t keep his promise was in 2006, but it was for the sake of his party. Boehner backed the GOP measure that raised the minimum wage over three years, but it also contained deep cuts to the estate tax that made the bill dead-on-arrival in the Senate. He knew the bill wouldn’t pass, but he wanted to show support for his party. He also wanted to make sure this would not become an issue for him during the upcoming campaign. Although Speaker Boehner has basically kept to his word about not voting for an increase in minimum wage, Democrats think they have a chance in getting him to cave and allow a vote this year. The liberals are hoping for a vote in this election year. Ohio Rep. Steve LaTourette says Boehner has “always believed that it’s a job killer.” And who wouldn’t think that after the CBO’s recent report found increasing the minimum wage could cost the economy 500,000 jobs? It’s going to take the Democrats a lot more than pure optimism to get Speaker Boehner to allow this vote. Clearly, Mr. Boehner has the country’s best interest at heart here and is not backing down on his promise to refuse votes on a hike in the minimum wage.